Petrosino Square. By Paul Goldfinger © Click on the image to appreciate the flavor of this location southeast of Greenwich Village. Re-posted from 2013 on Blogfinger. 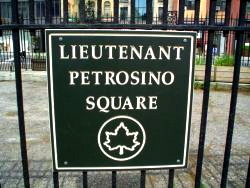 Lt. Joseph Petrosino was born in Italy in 1860. He later came to the US and became a NYC police officer who specialized in Mafia style gangs in lower Manhattan. He became famous fighting the infamous “Black Hand.” Petrosino died at age 49, in 1909, while on an undercover mission in Sicily. He is the only NYC officer who was killed in the line of duty outside the country. Mayor Koch renamed this little park for him in 1987. 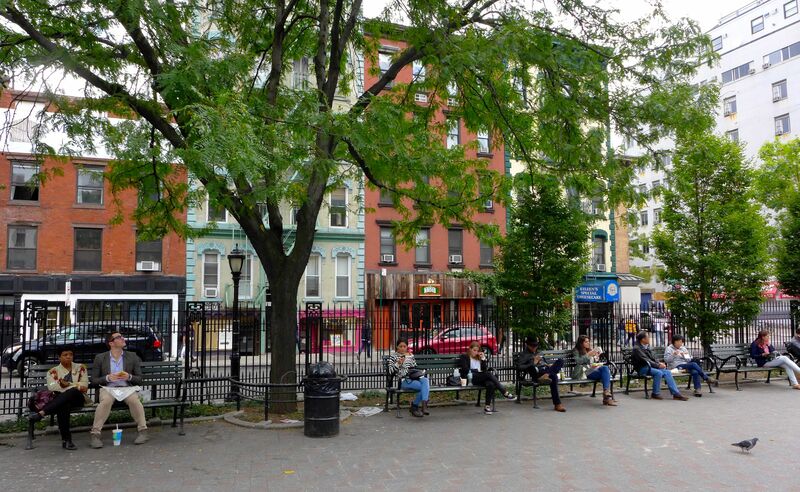 It is located at the crossroads of Little Italy, Chinatown, the Bowery and Soho.